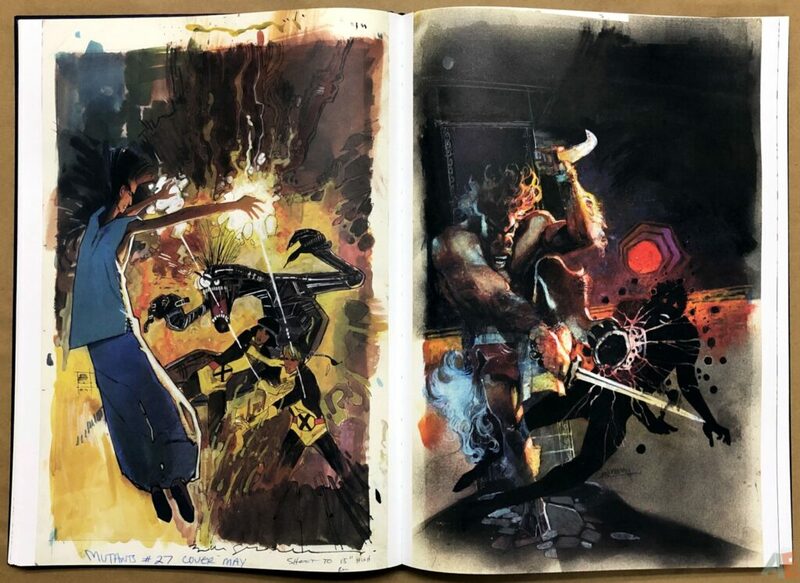 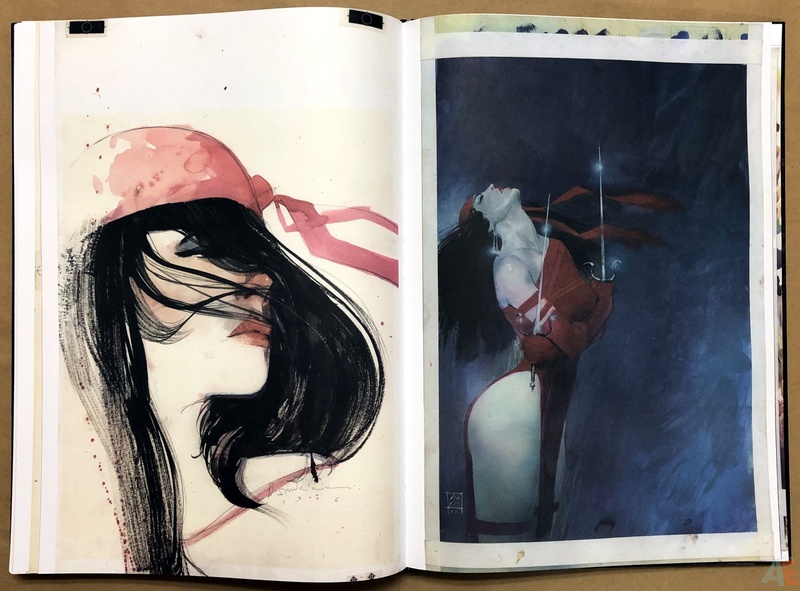 Eight years into the AE format we’re treated to a volume dedicated to Bill Sienkiewicz. 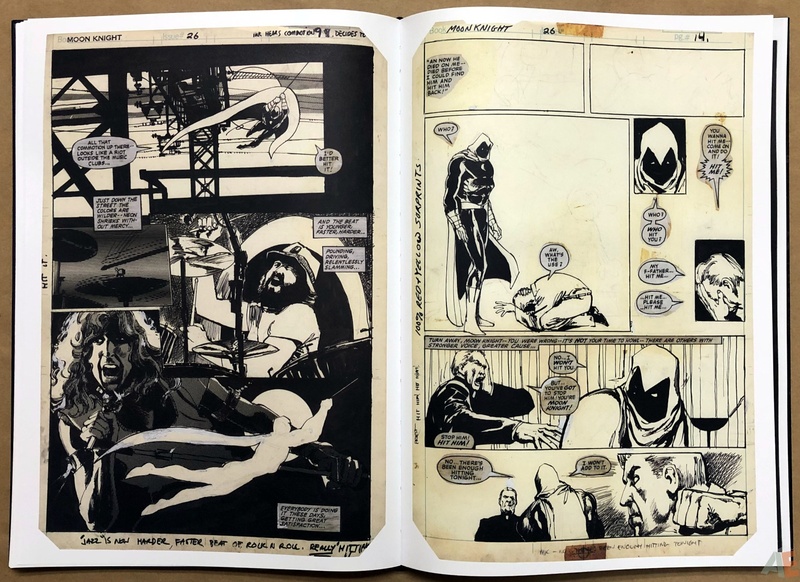 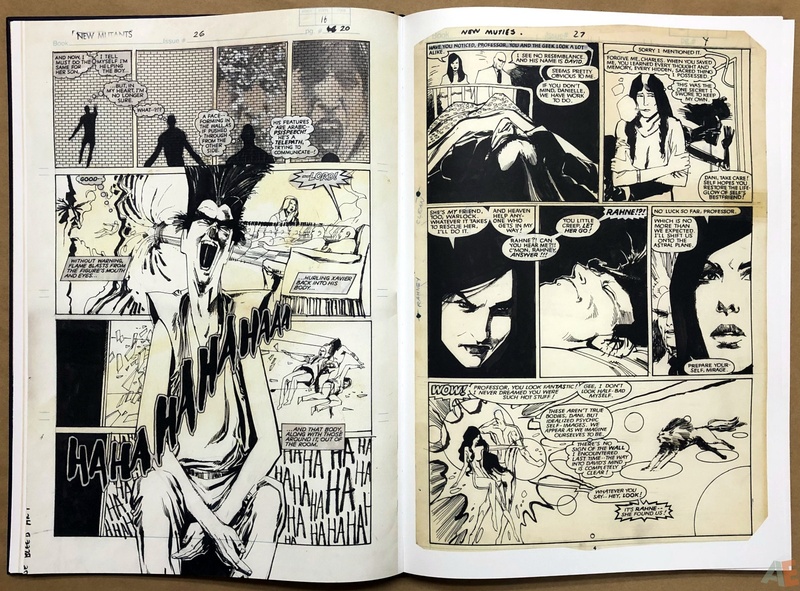 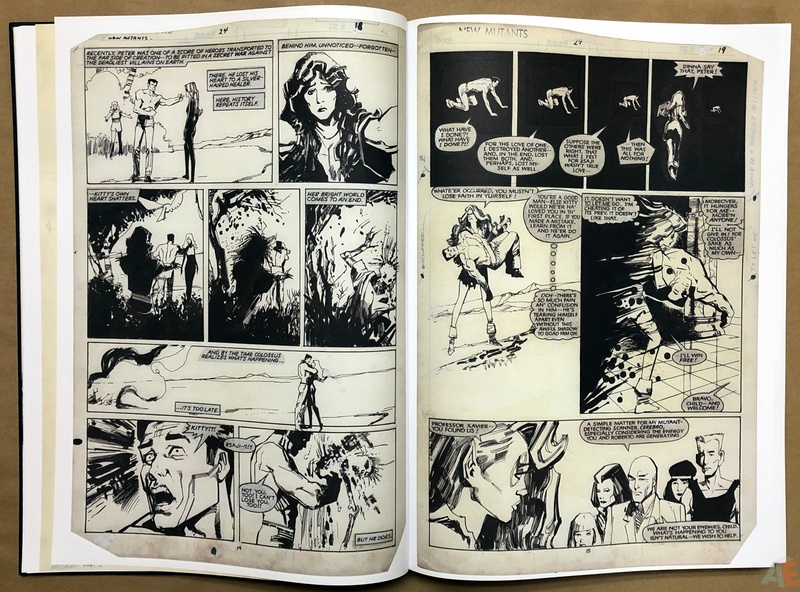 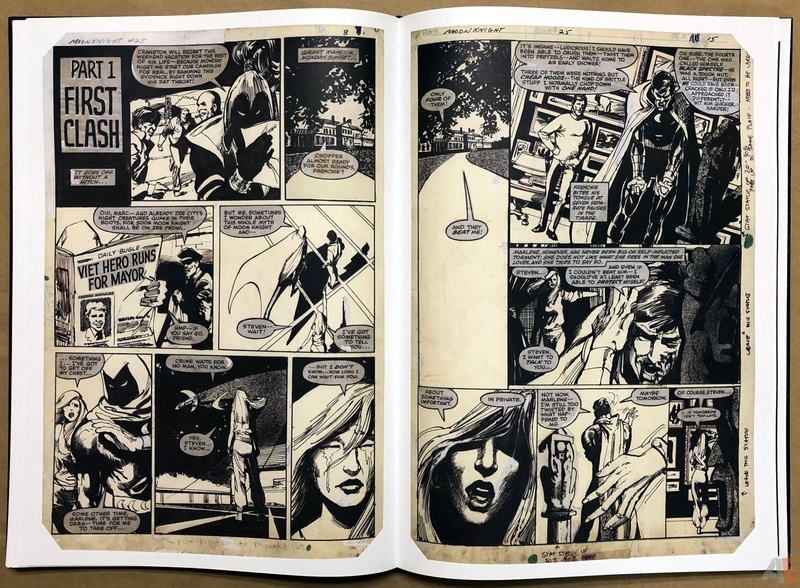 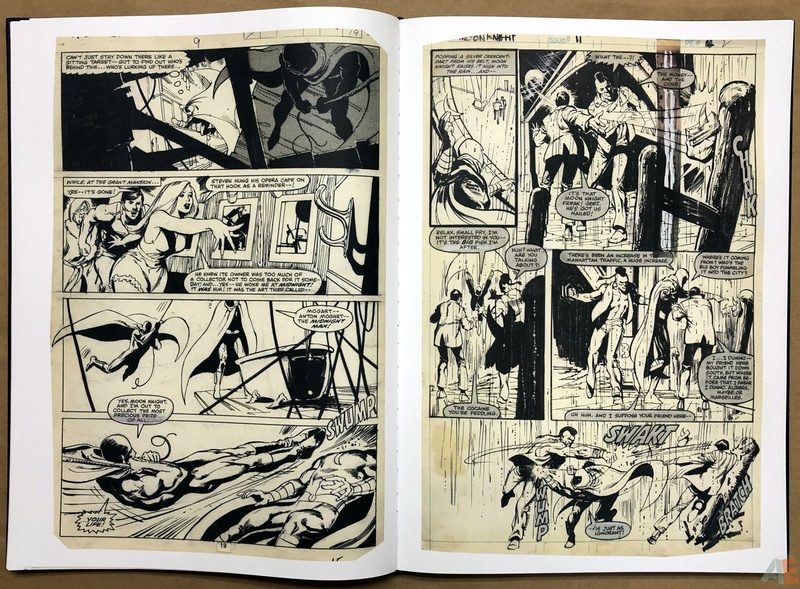 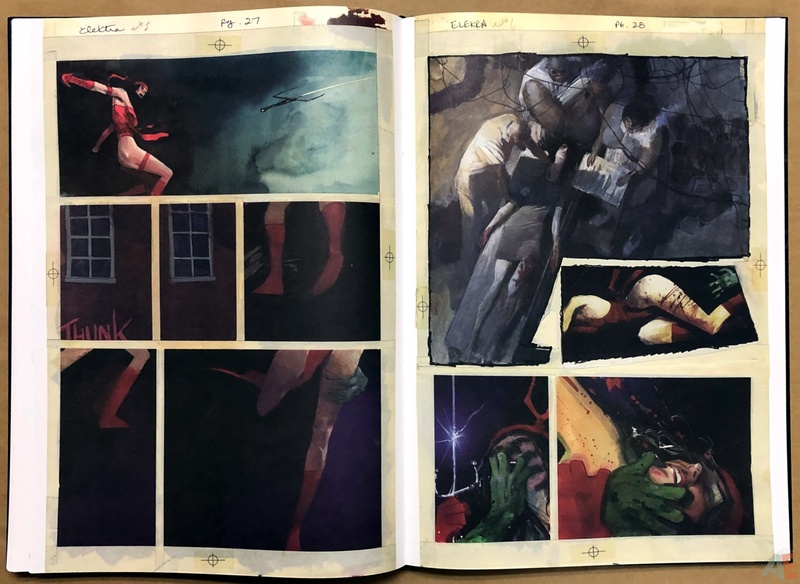 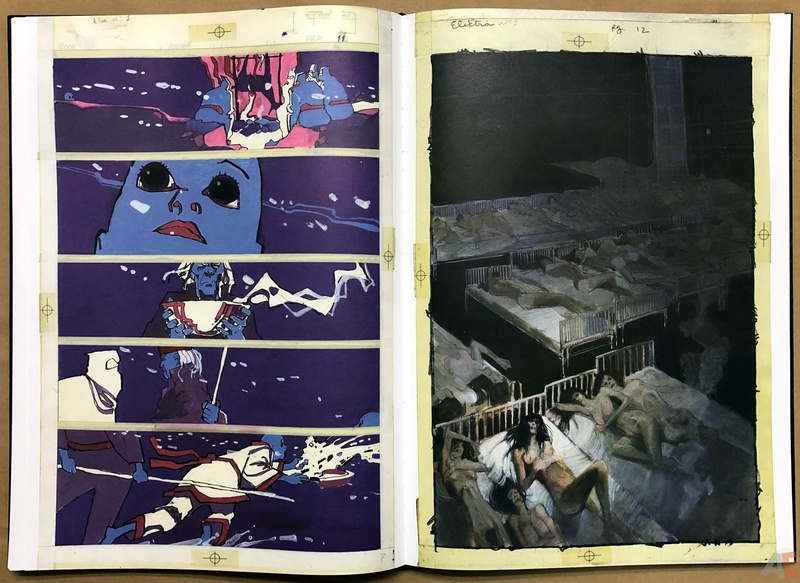 Included are 55 pieces of art from New Mutants, 27 pieces from Moon Knight, 58 pieces from Elektra: Assassin, including the complete first issue, 8 pieces from Daredevil: Love And War, plus some randomness. 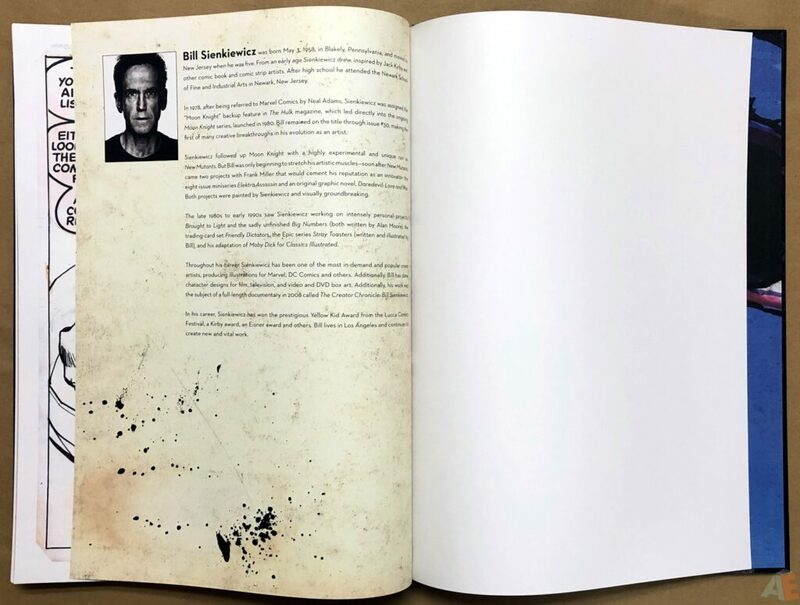 Closing it out is a one-page biography. 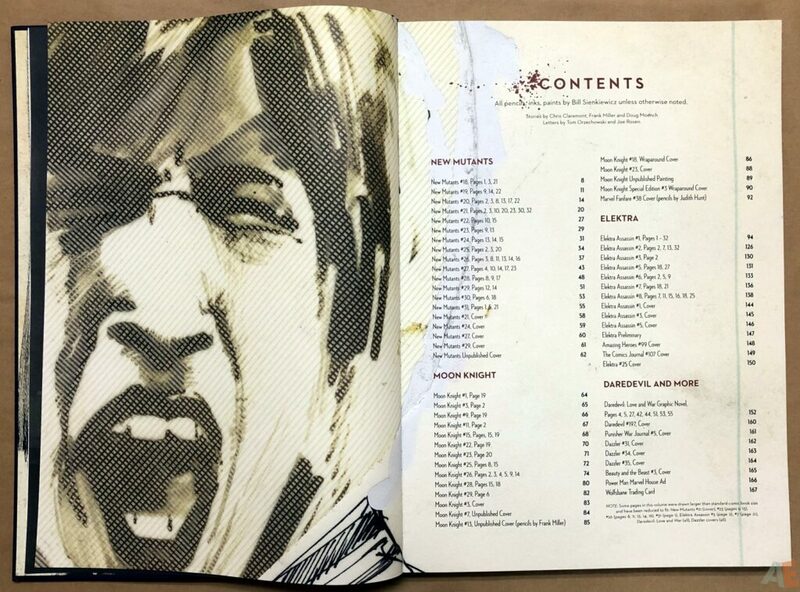 This bittersweet note appears at the bottom of the Table Of Contents. NOTE: Some pages in this volume were drawn larger than standard comic book size and have been reduced to fit: New Mutants #21 (cover), #23 (pages 9,13), #26 (pages 8,11,13,14,16), #31 (page 1), Elektra Assassin #3 (page 2), #7 (page 21), Daredevil: Love and War (all), Dazzler covers (all). 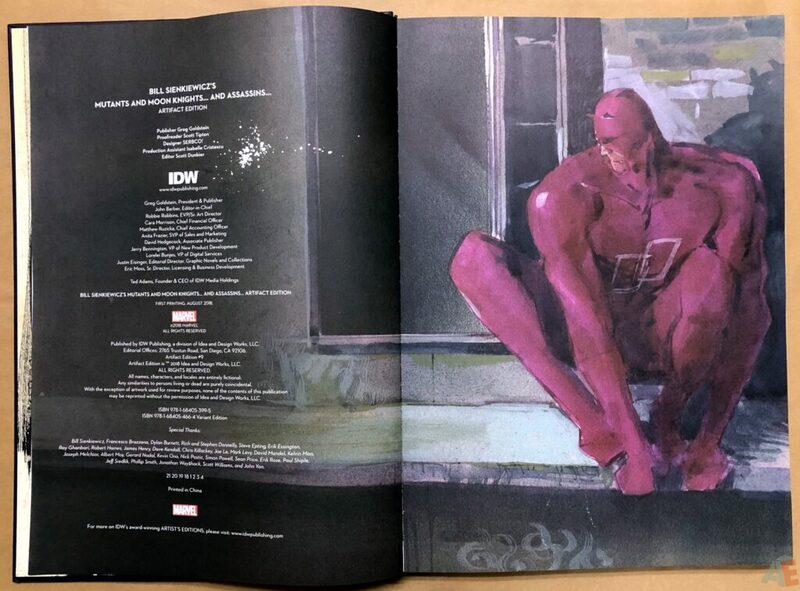 Scan quality is quite good. 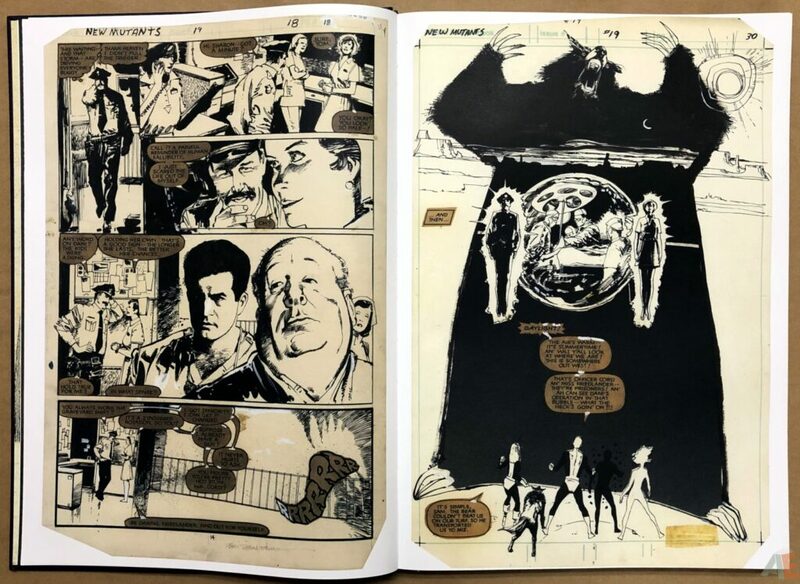 There is some softness on word balloons in the New Mutants and Moon Knight pages. Blacks show gradients throughout. 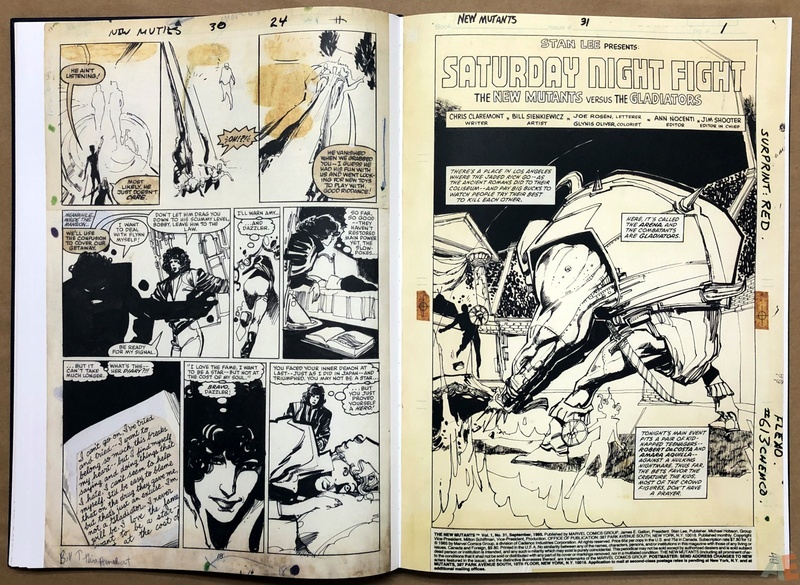 Pages have aged to varying degrees, off-white to yellow and tan. Very few margin notes; mostly dedications when signed by Sienkiewicz. 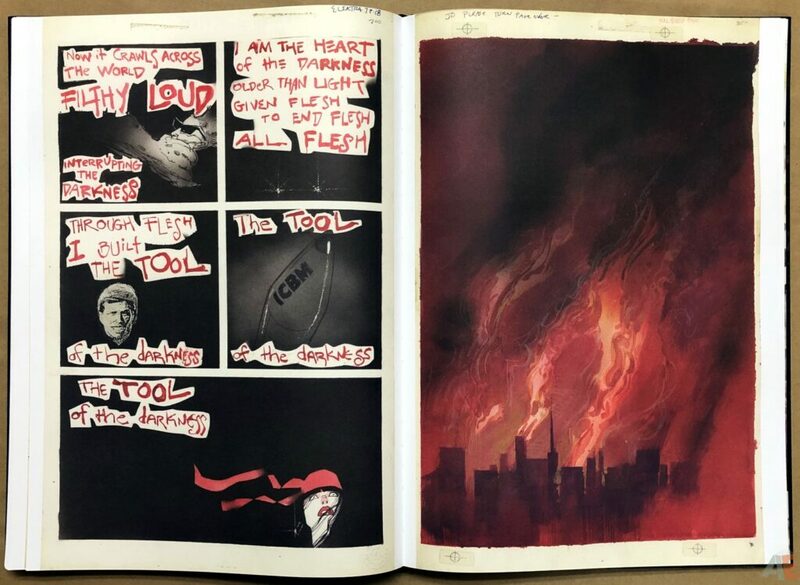 Minimal use of correction fluid, more as a medium for the art. 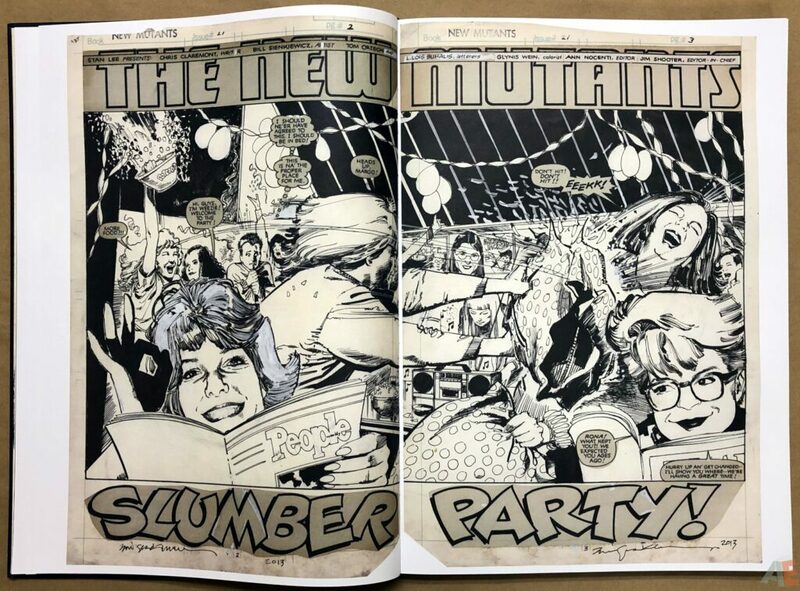 New Mutants issue 30 page 18 is missing some word balloons, with a combination of pasted and on page balloons. 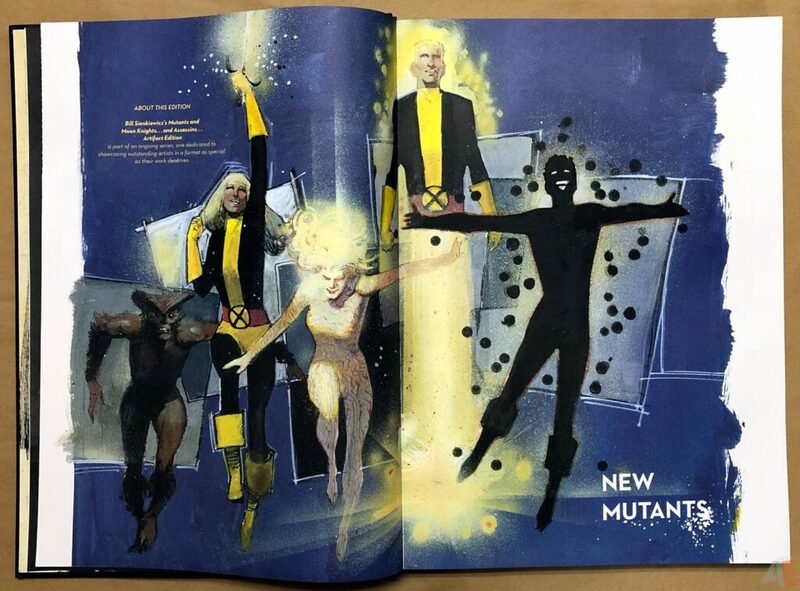 The design is credited to SERBCO! 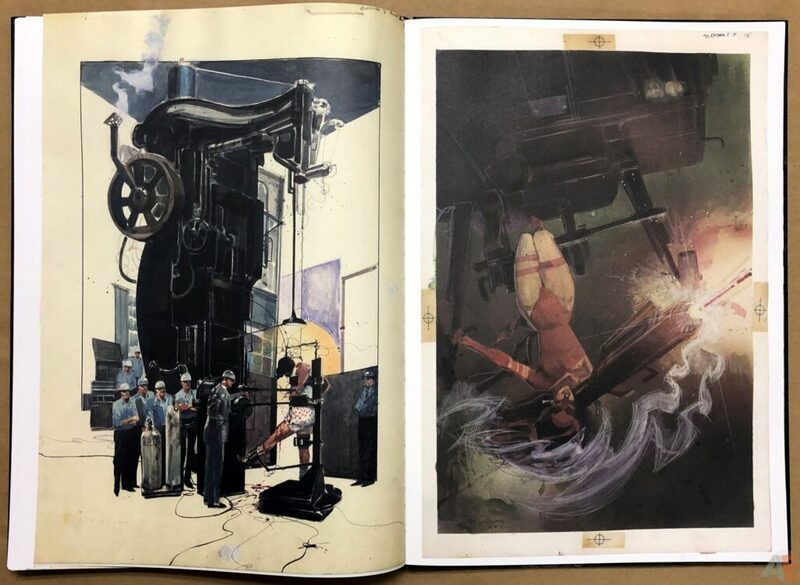 which I’m guessing is Serban Cristescu or his company and not the South African pipe manufacturer. 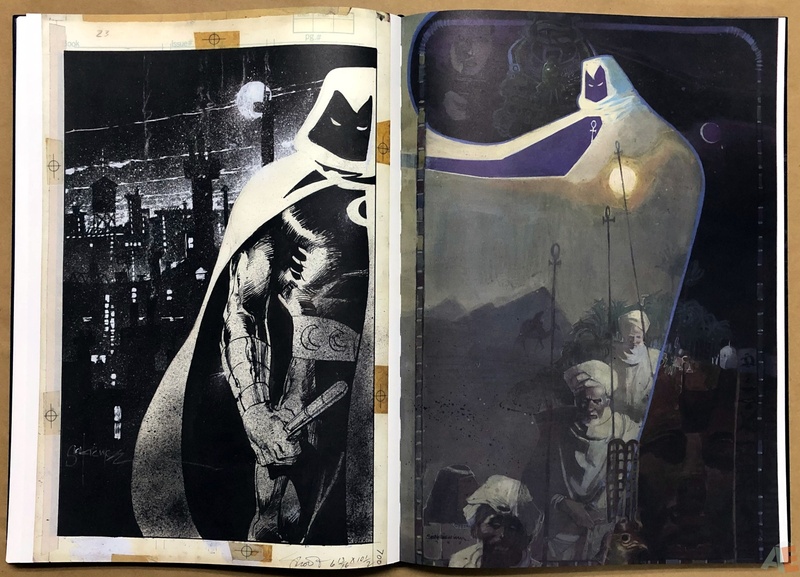 It certainly looks like Cristescu’s work, with expertly done image enlargements throughout. 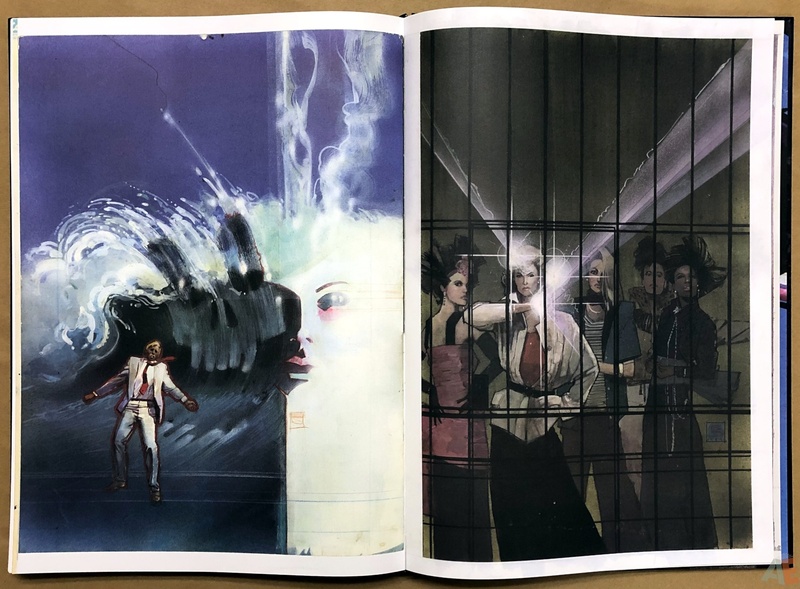 The endpapers and colophon are stunning. Sewn binding of thick matte paper stock. 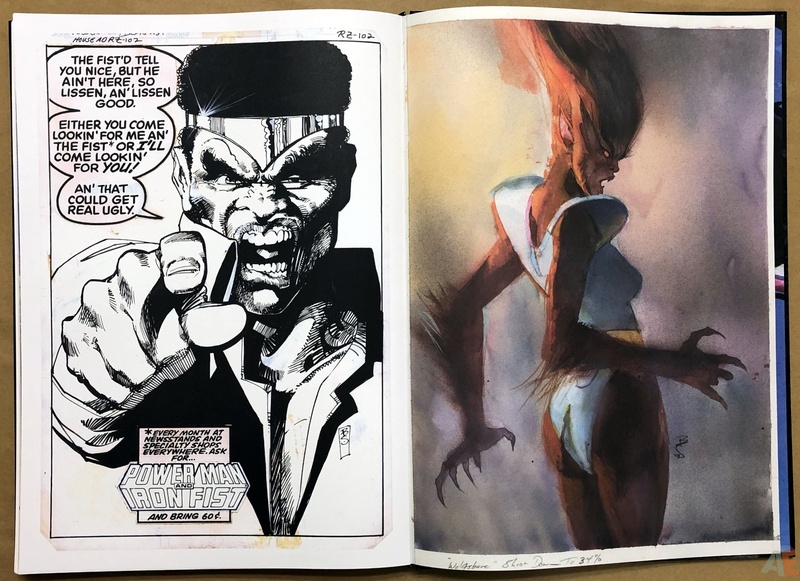 The book lays flat on most pages with a center smoothing, and even the pages where the signatures are glued it’s mostly flat. 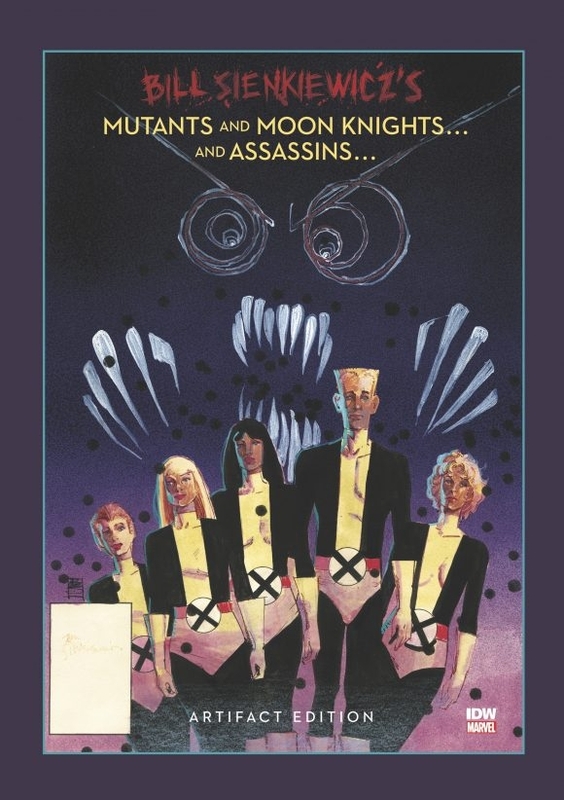 It comes shrinkwrapped in a cardboard box with a small colour sticker showing cover and UPC. 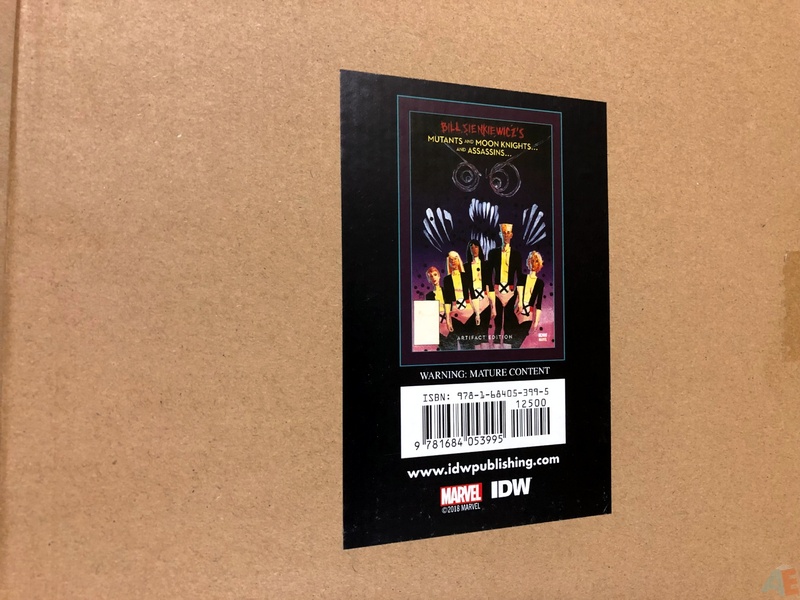 My box won’t stay together, with the long folded side popping out. 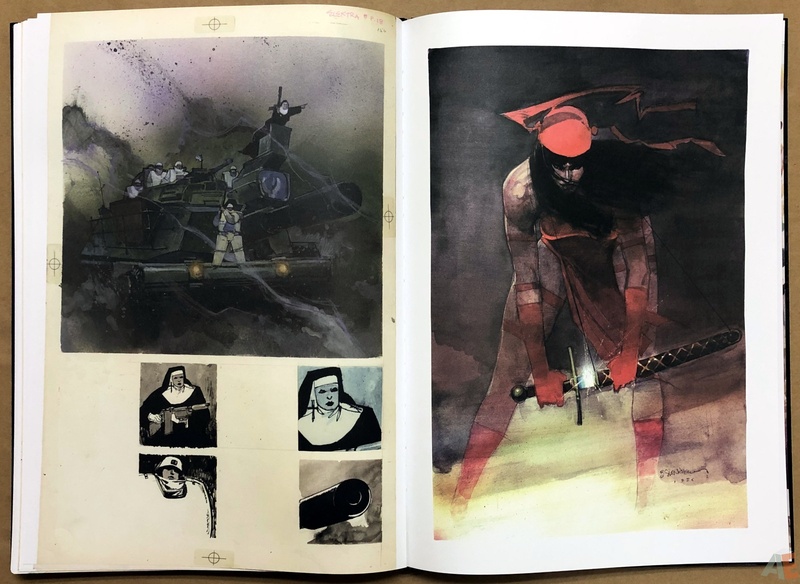 Another giant of the 1980s getting an Artifact Edition. 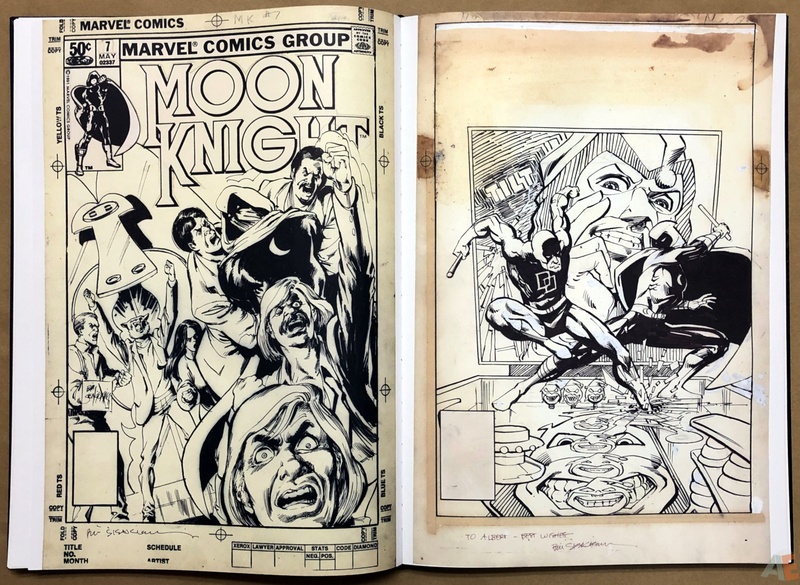 Or is it an Artist’s Artifact Edition, with random pages from New Mutants and Moon Knight, and a complete issue of Elektra Assassin? 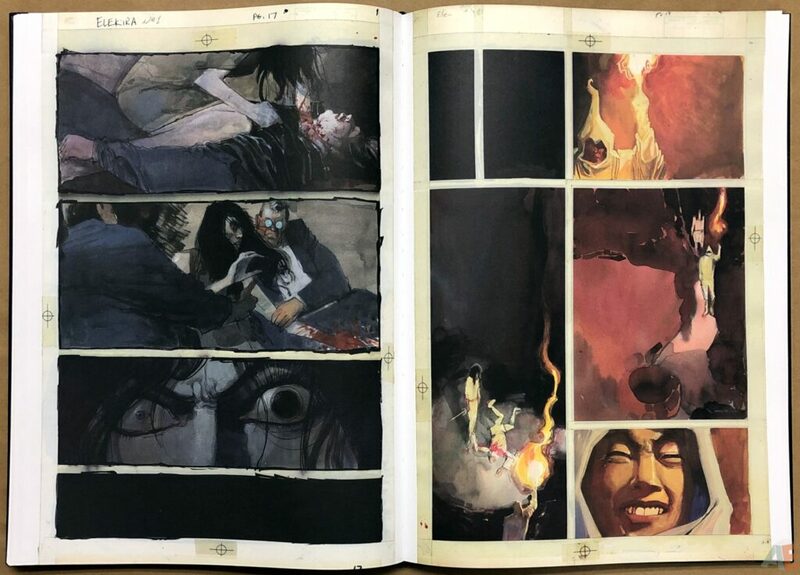 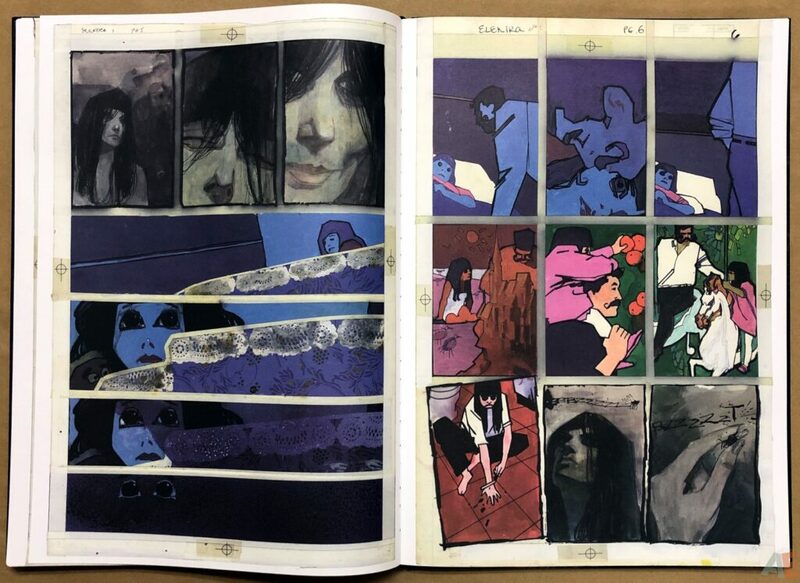 While the inked pages are quite a treat, Sienkiewicz’s mastery of the painted page overshadows everything else. 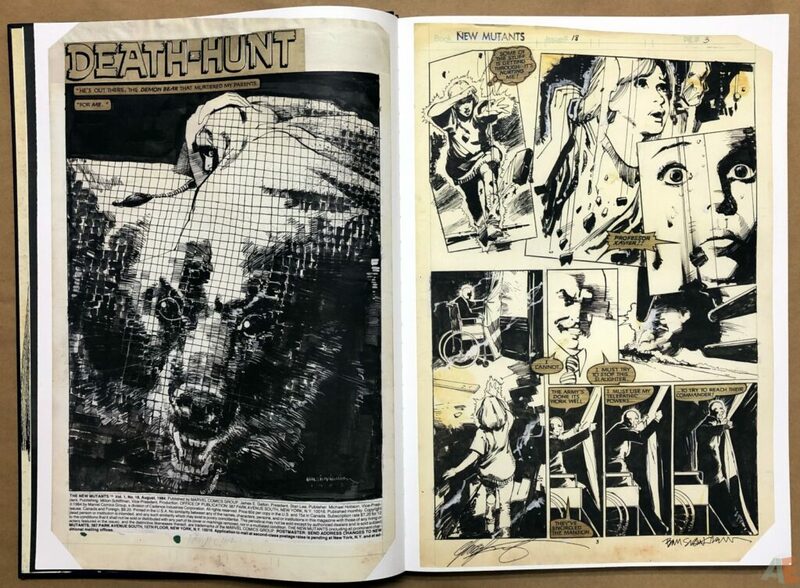 I couldn’t tell from the scans whether the painted pages were done on standard comic boards. 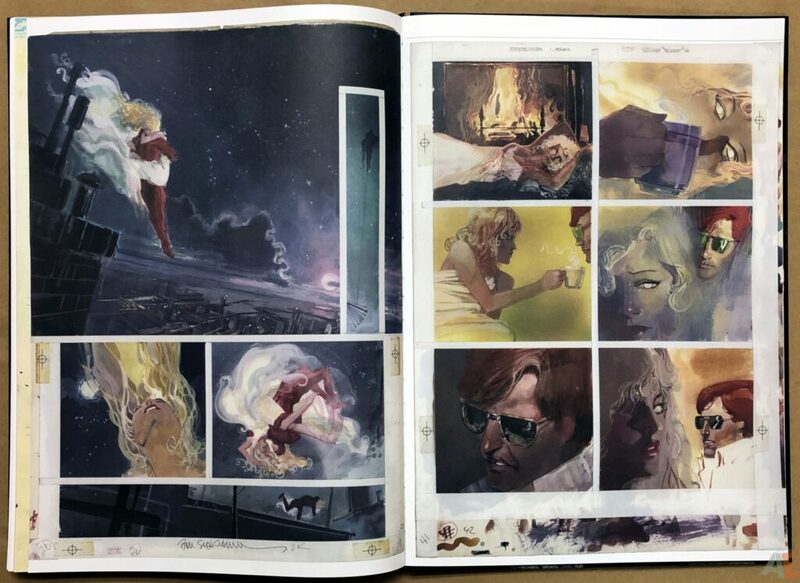 This choice of matte paper seems to dull the colours slightly, and it has worked wonderfully for inked comic pages.